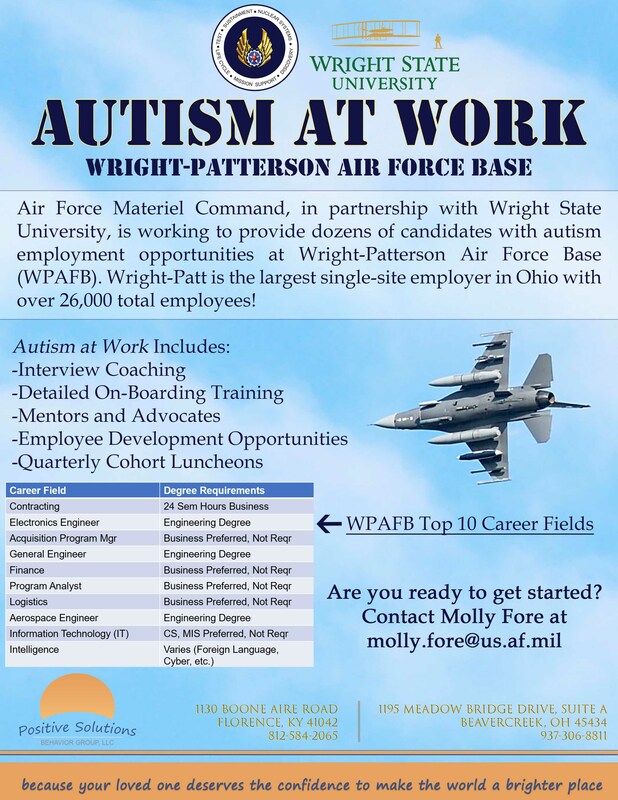 Air Force Materiel Command, in partnership with Wright State University, is working to provide dozens of candidates with autism employment opportunities at Wright-Patterson Air Force Base (WPAFB). Wright-Patt is the largest single-site employer in Ohio with over 26,000 total employees! 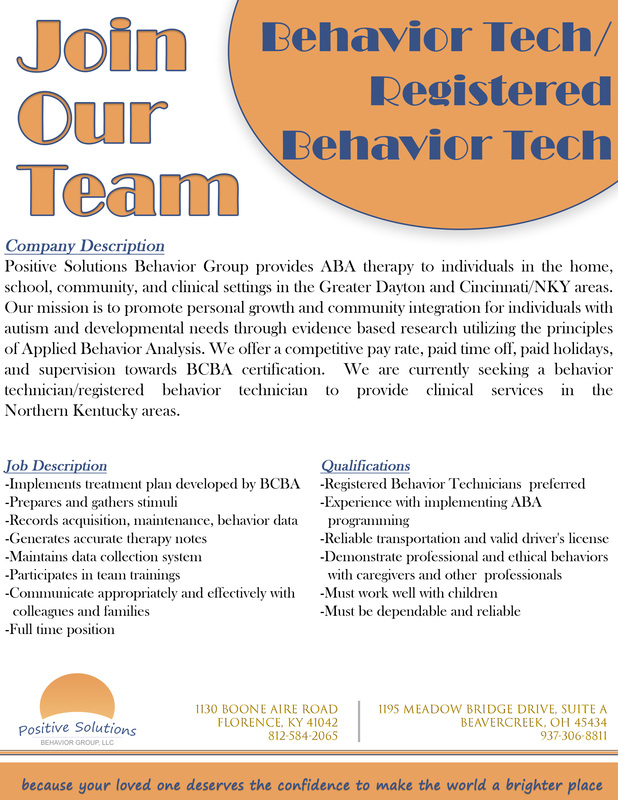 For more information or to get started on this great program, contact Molly Fore at molly.fore@us.af.mil.